After joining his school's Classic Literature Club, Hotaro Oreki meets a solid group of friends who have a knack for getting into all sorts of trouble. Their adventures continue as they start preparations for a big festival where they plan to promote the Classic Literature Club. However, they find themselves in the middle of a mystery that only they seem fit to solve. 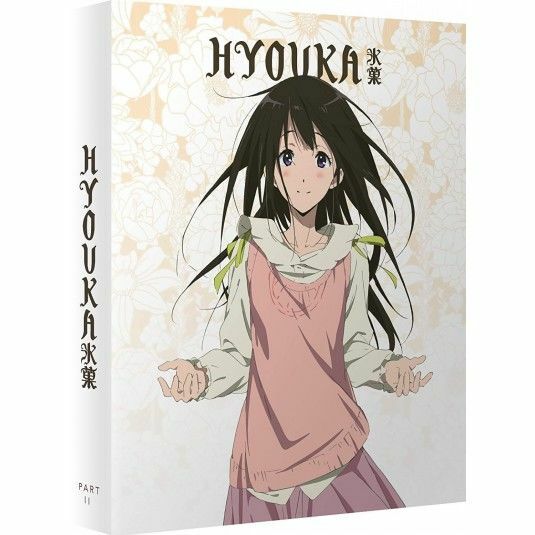 Contains episodes 12 to 22 on Blu-Ray with both the English dub and the original Japanese track with English subtitles. Presented in Collectors packaging.